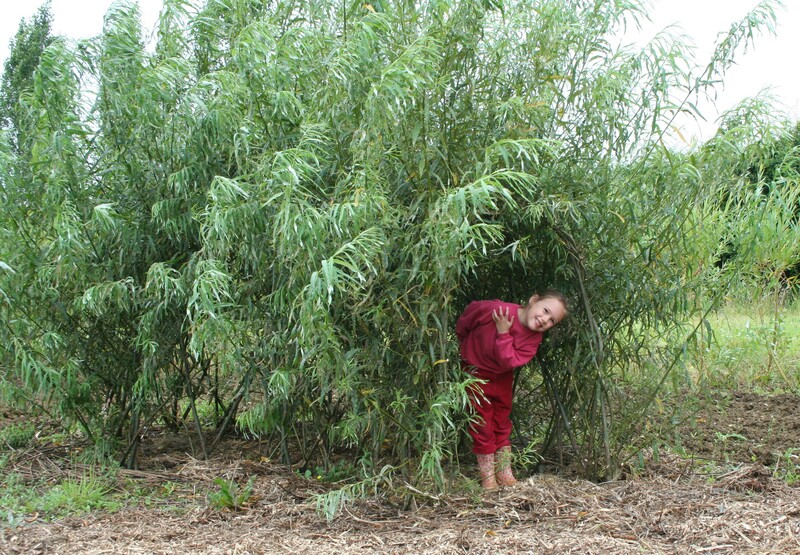 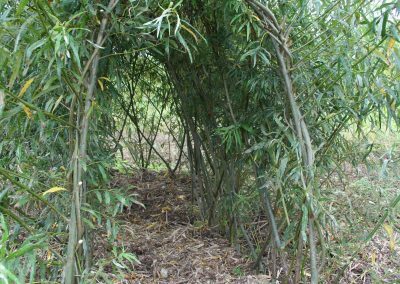 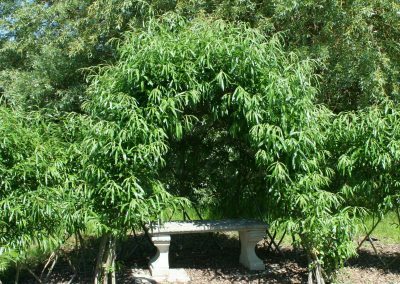 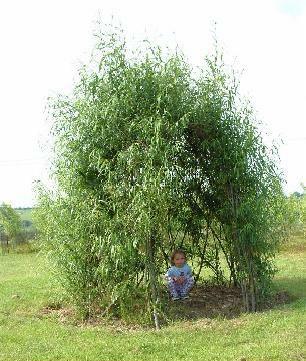 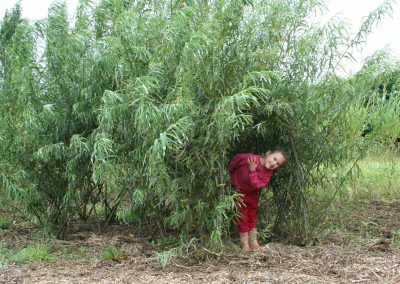 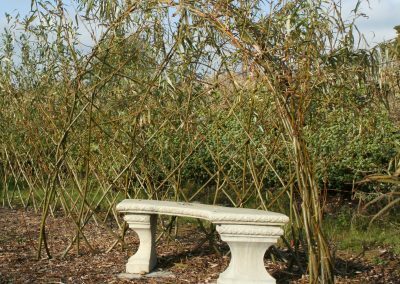 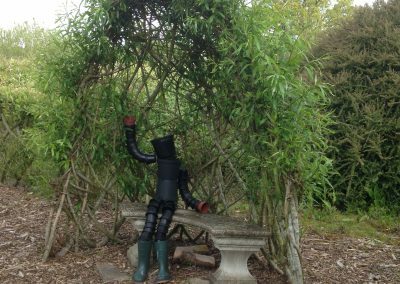 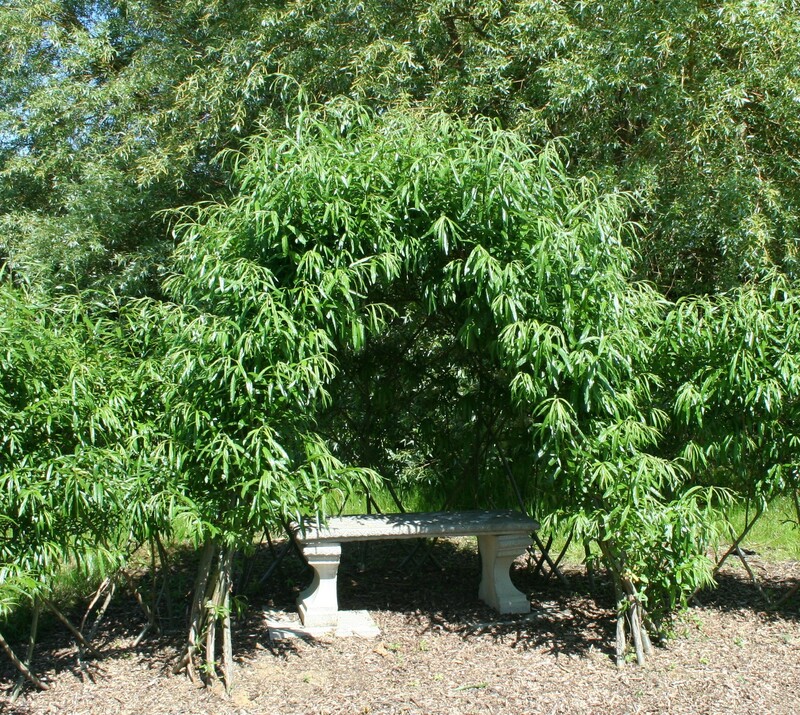 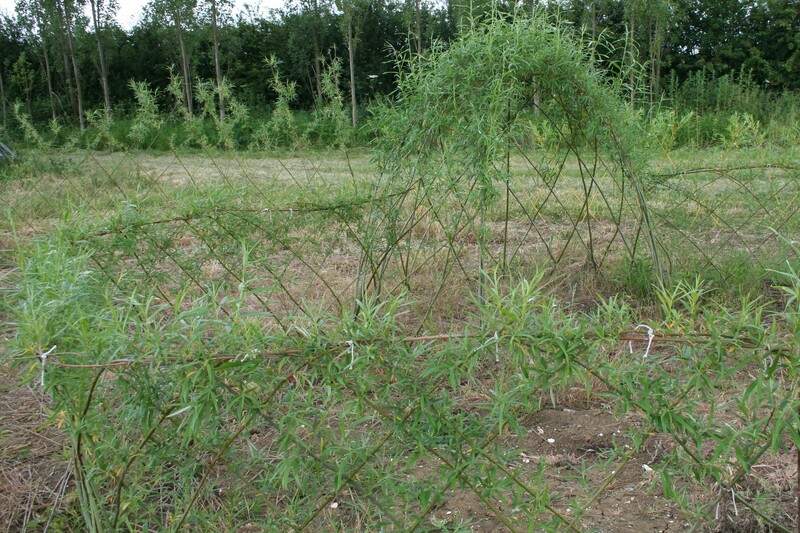 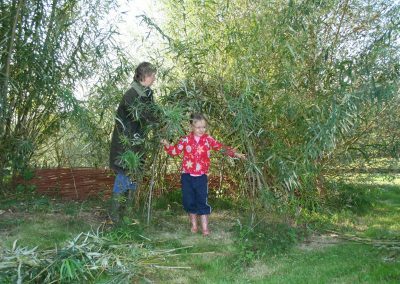 Living Willow Half Bower Kits – planted in a semi-circle with an open front. 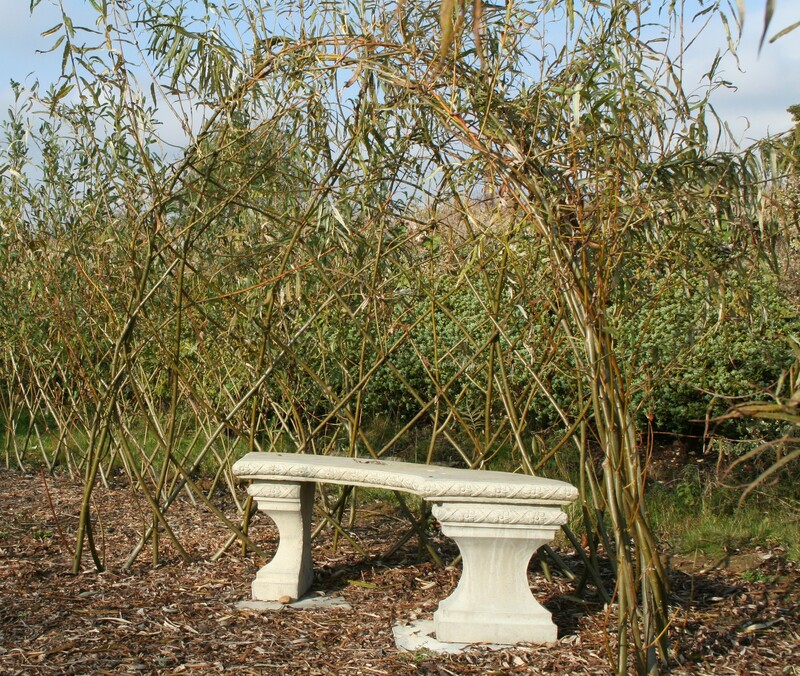 Ideal for over a bench. 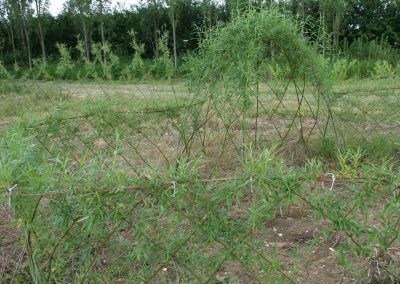 Showing late Spring/early Summer growth. 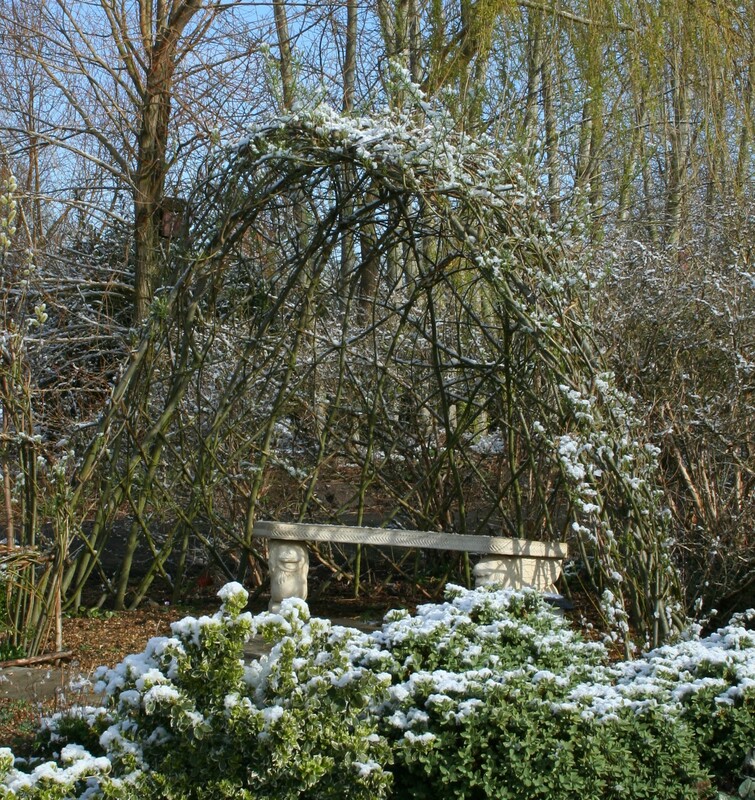 Showing early Spring growth a year or so later. 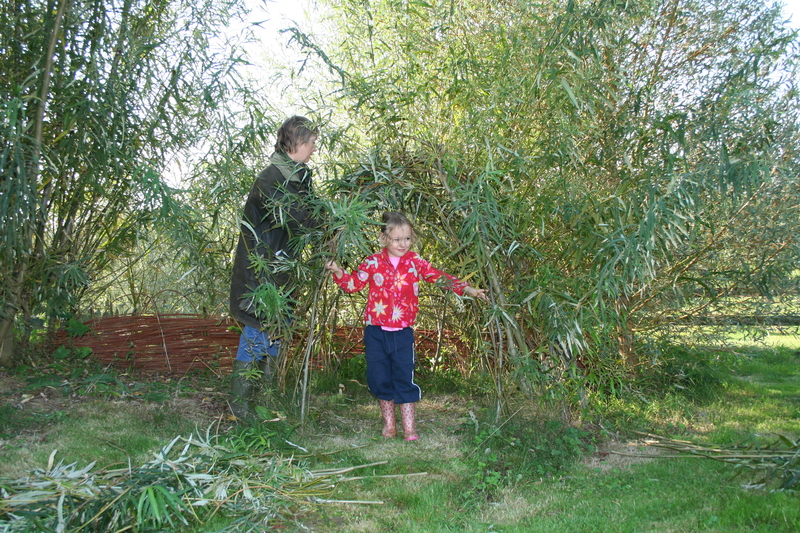 Showing very early Spring growth. 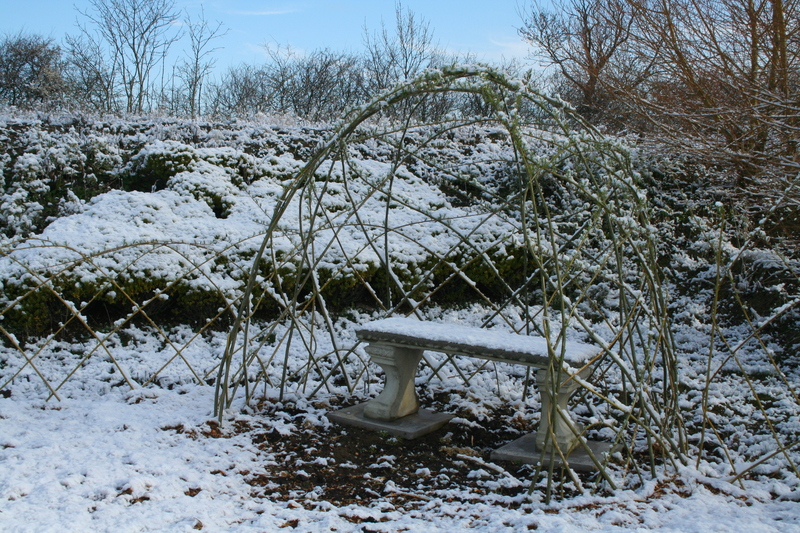 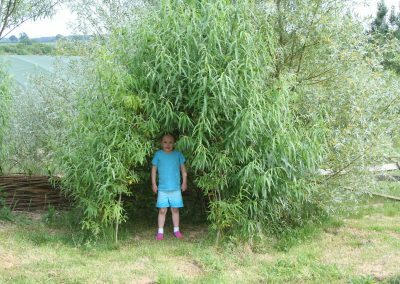 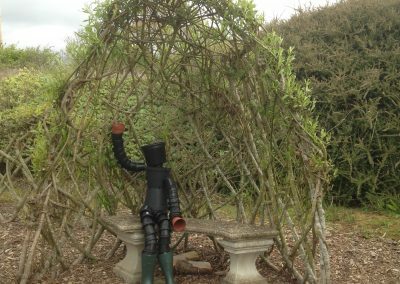 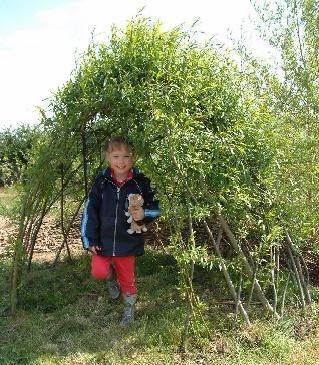 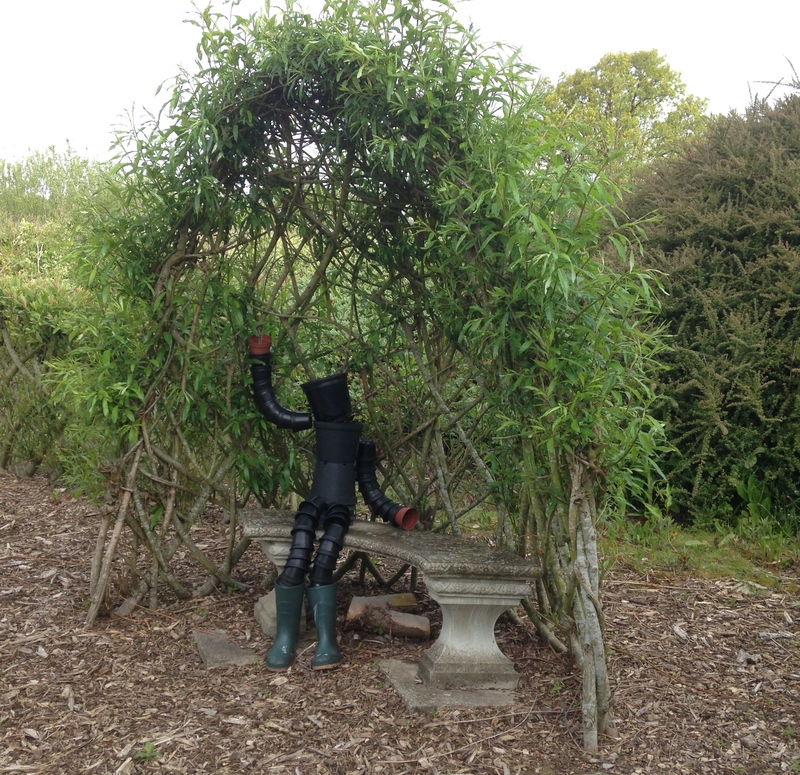 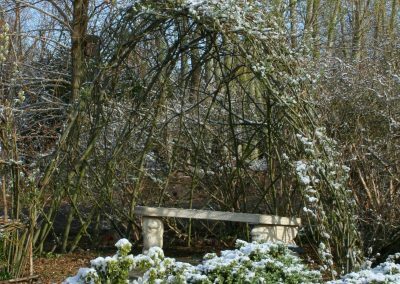 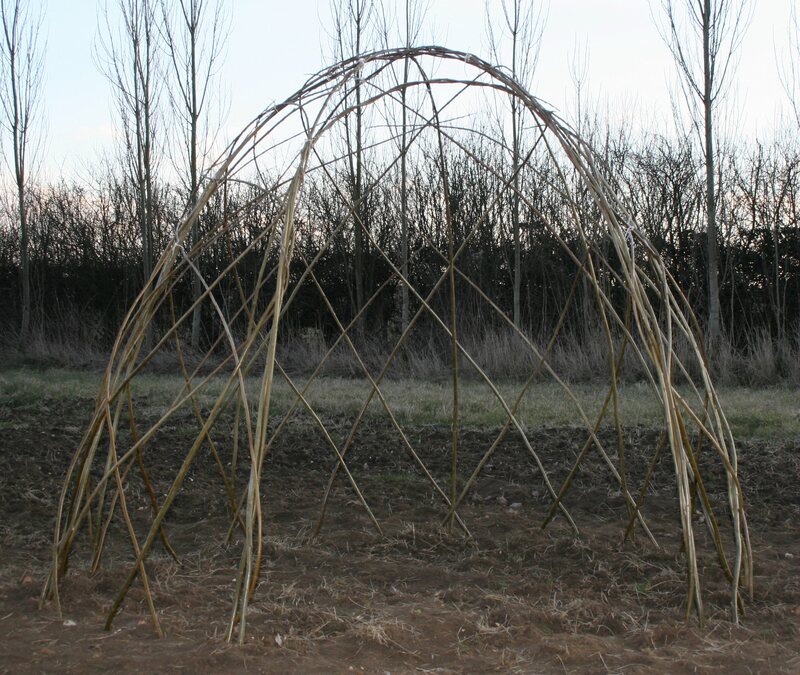 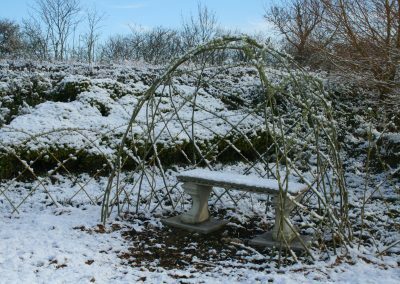 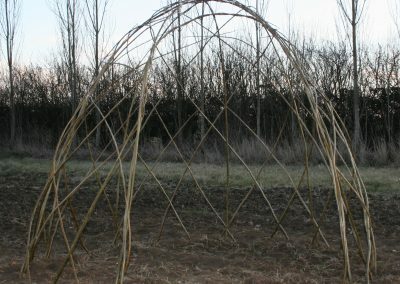 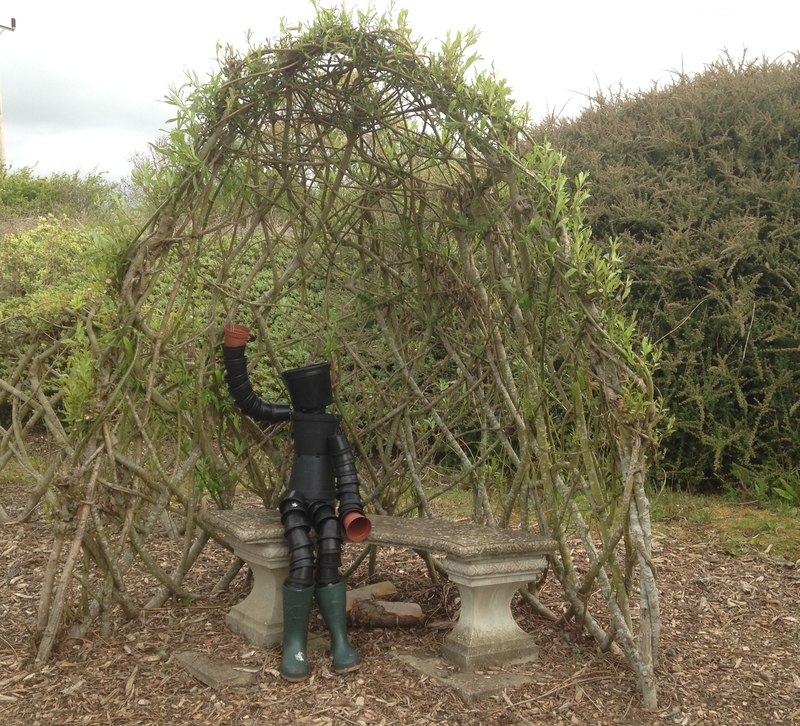 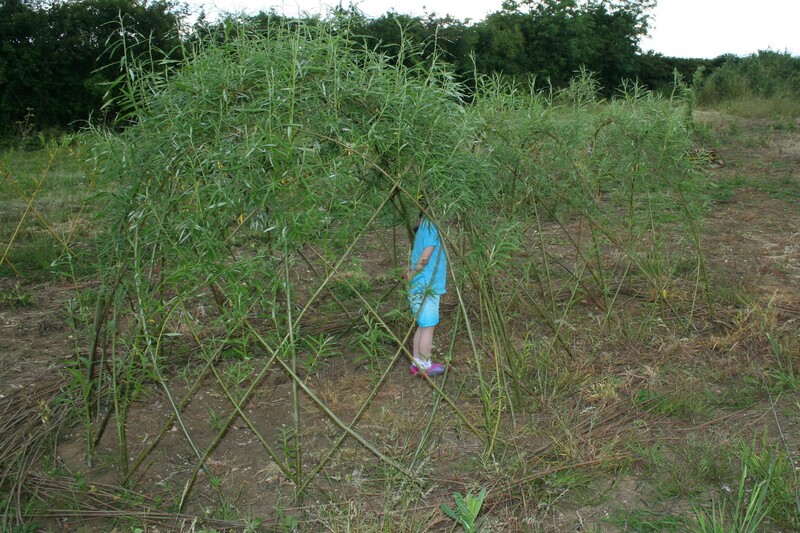 Living Willow Dome Kits – planted in a circle. 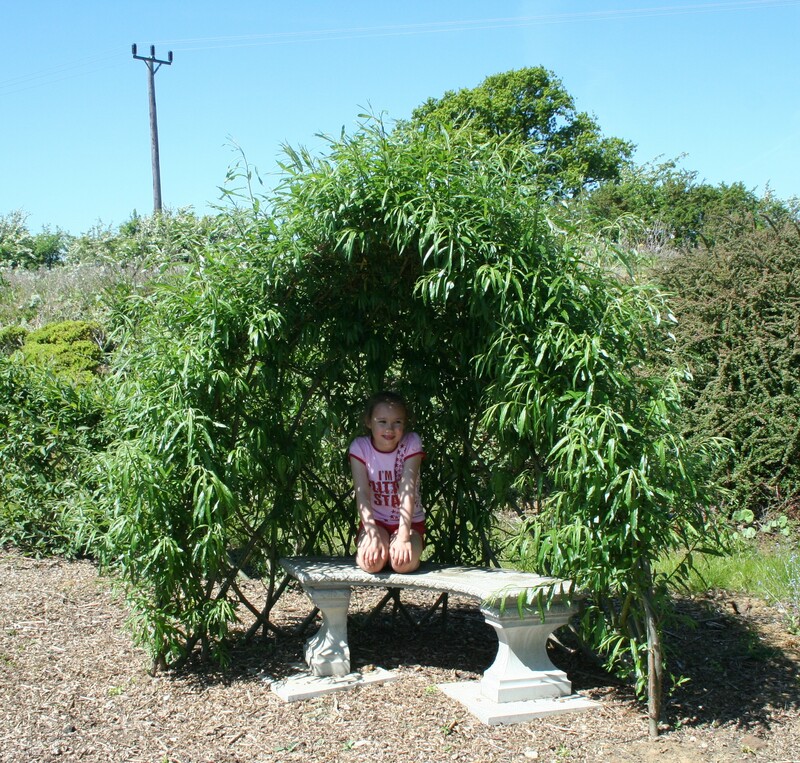 You can vary the width of the opening – ideal for over a bench or as a child’s den. 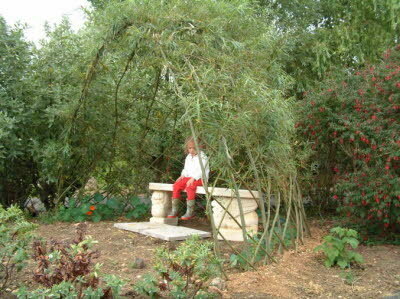 Our very first living willow dome/bower with a fedge adjoining it (and a golden hop growing through it). 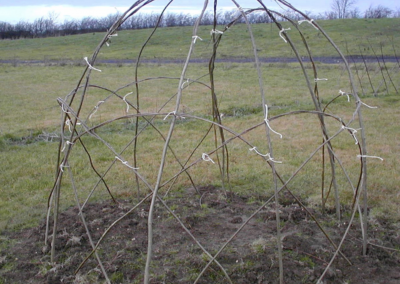 The photograph was taken in May 2002 and (judging by the thickness of some of the visible original whips) the structures are a few years old. 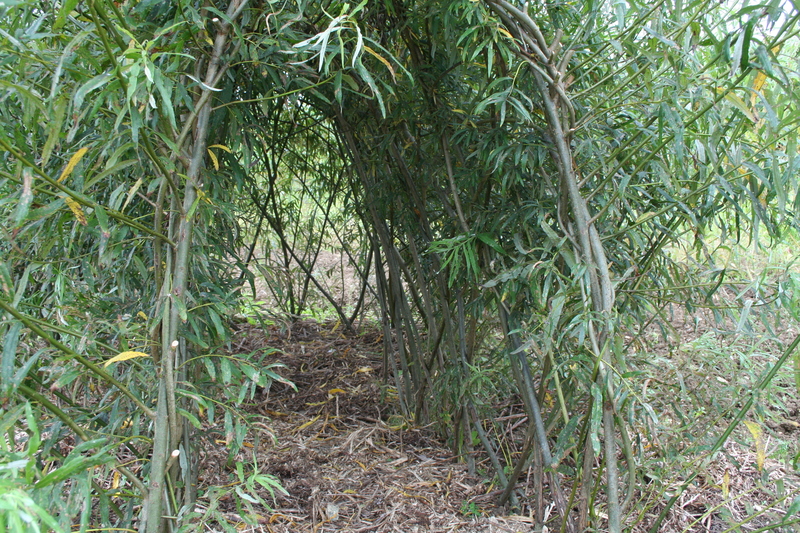 Weaving in new growth in September – the structure is a few years old. 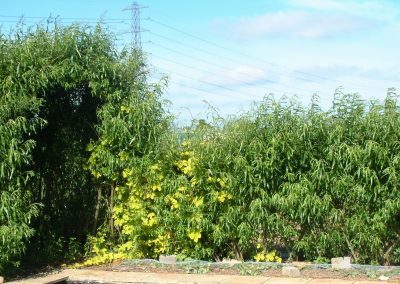 Showing Spring growth several years after planting. 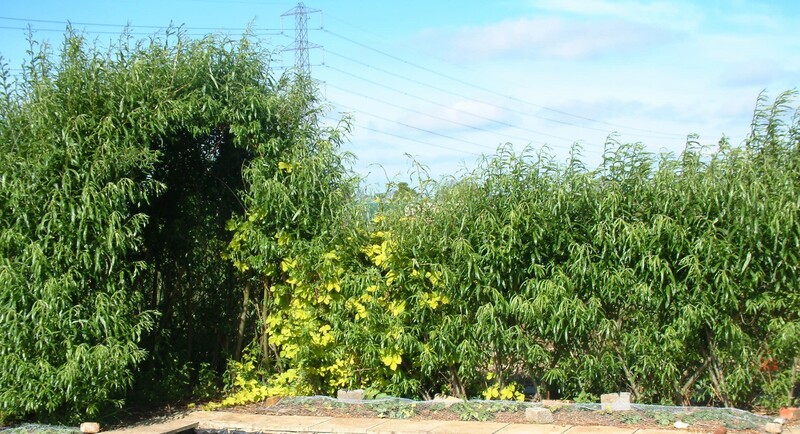 In Summer growth a few years after planting. 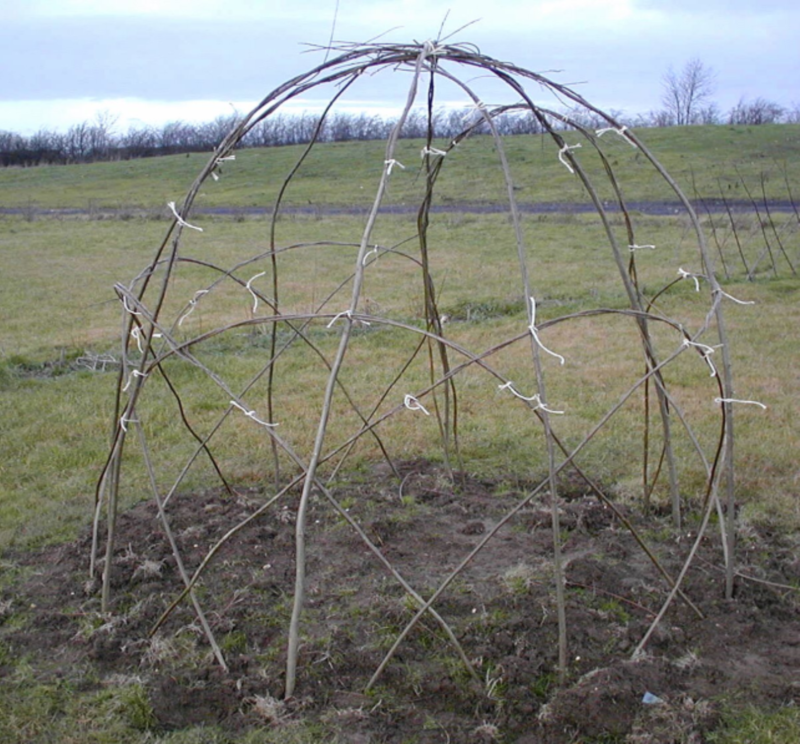 Just after planting. 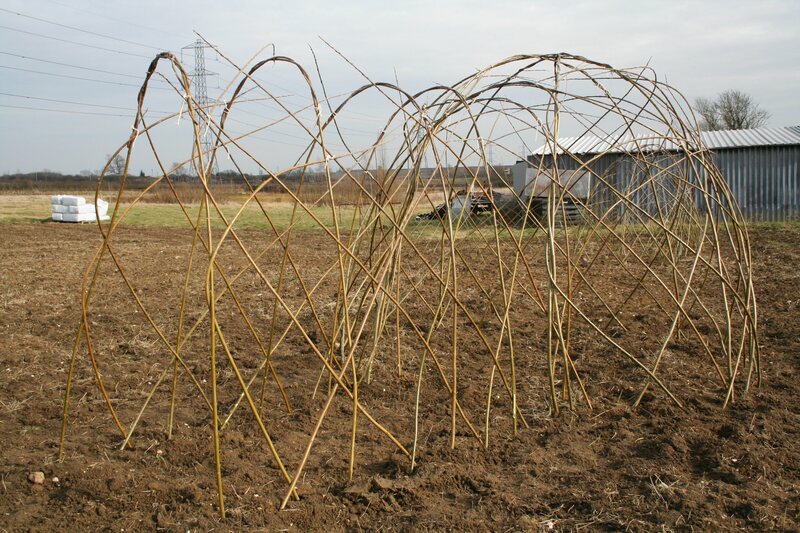 The whips at the front were planted to create a wide opening. 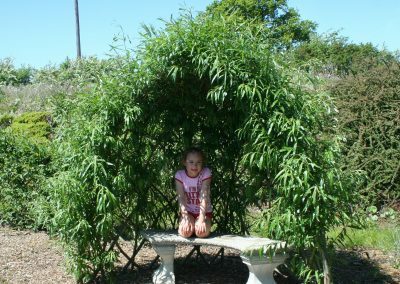 Living Willow Standard Dome Kit WK105 Showing early Summer growth. 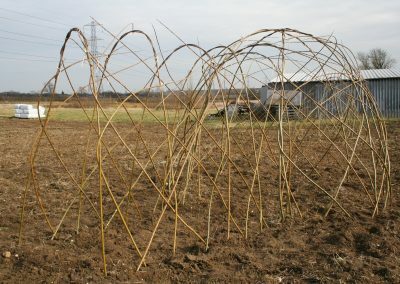 The whips at the front were planted to create a wide opening. 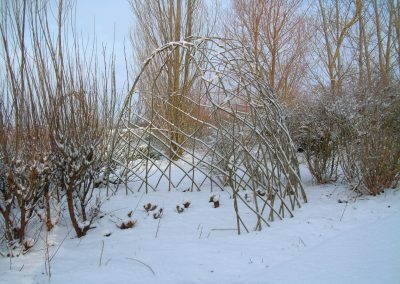 Living Willow Standard Dome Kit WK105 . . .
. . . combined with 4 x Fedge Kit A WK104A to create a storying telling circle.
. . . combined with Mini Tunnel Kit WK110 to create an igloo. Shown as just planted.
. . . combined with Mini Tunnel Kit WK110 to create an igloo. 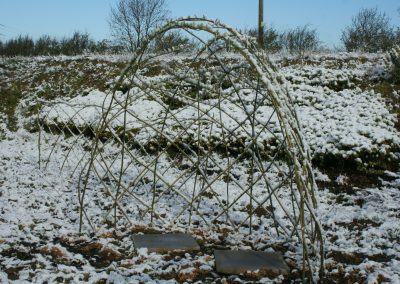 Showing Spring growth.
. . . combined with Mini Tunnel Kit WK110 to create an igloo. 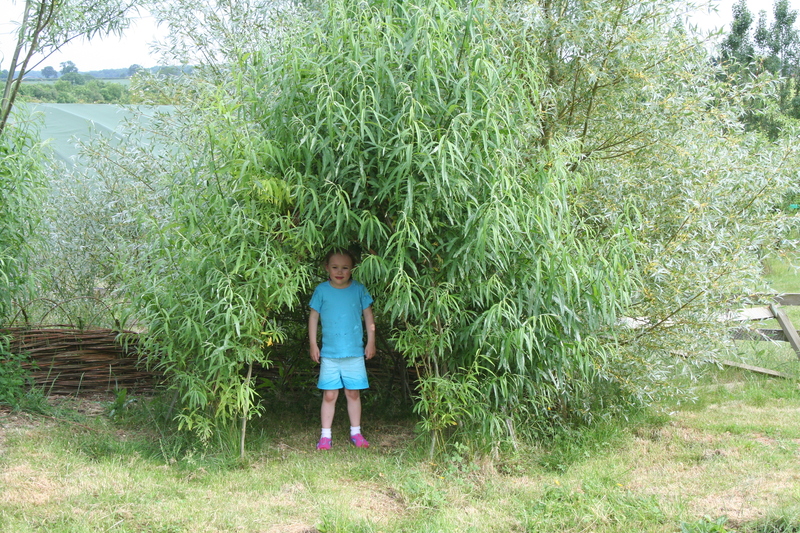 Showing Summer growth.